Making old items look like new is not only environmental, it's a great way to save money while sprucing up your home. 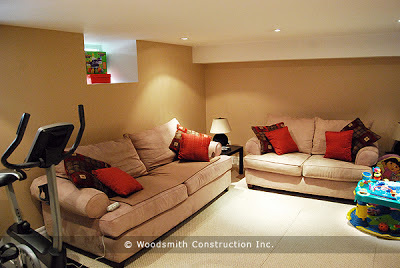 Use some of these great ideas to refurbish items around your home or get renovations Toronto by Woodsmith Construction. Start by finding some comfortable chairs. The uglier the print, the cheaper you can buy them. You'll be covering them anyway. Get some canvas drop cloths, adhesive spray and upholstery nails. Cover the chair and then the cushion. Some areas you can just glue it down with the adhesive and the others you will have to hand stitch. You can create hundred dollar chairs for under $50 each. It may be a lot of work but refinishing a rusty lawn chair gives a great feeling of accomplishment. You will need a wire brush to get started and sander to smooth out the surface. Again this will take a lot of elbow grease but imagine taking your Grandmother's chair from the 50's and making it look like new! Not looking for a DIY job? Get help with your home improvements Toronto. If you're thinking about renovating get some tips on making your home decor plan.